Bernard and Bonnie Krupinski and their grandson William Maerov were aboard a plane that crashed into the ocean on Saturday. Hundreds packed a church Friday morning to memorialize three members of an East Hampton family lost in a plane crash a week ago. 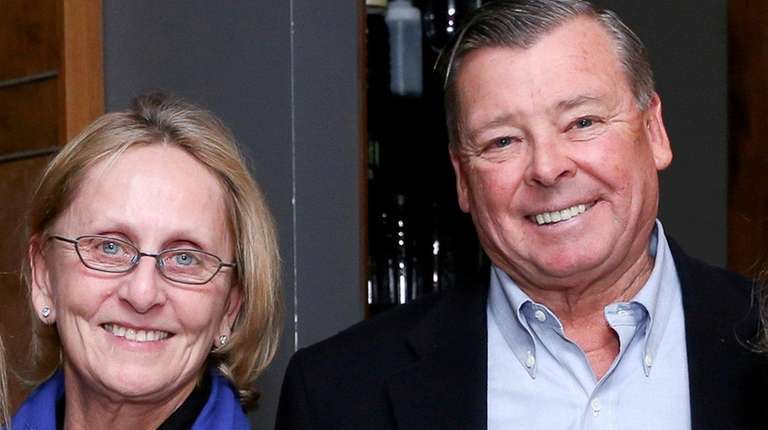 Luxury developers Bernard and Bonnie Krupinski, both 70, and their grandson, William Maerov, 22, were aboard a twin-engine Piper PA-31 Navajo that went down Saturday off the Amagansett coastline. The pilot, Jon Dollard, 47, also died. 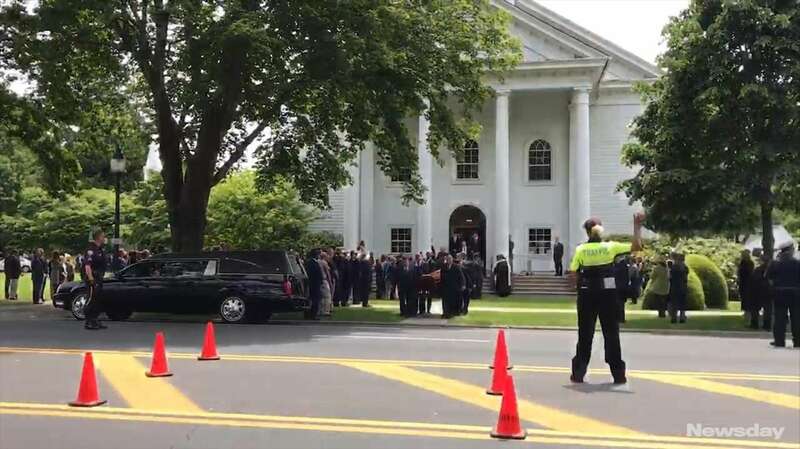 The Krupinskis’ family members and friends streamed into the First Presbyterian Church of East Hampton about an hour before the 10 a.m. service, which was closed to the media. The crowd grew so large that mourners had to be directed to the parish house next door, where they watched a livestream of the service on a television. Several family members spoke at the two-hour memorial along with media businesswoman Martha Stewart, who met the Krupinskis in the early 1990s when she came to East Hampton looking for her dream home. Stewart told mourners how she had found an older home that Bernard Krupinski had worked on for years and how he had so successfully conveyed its potential to her, according to a man leaving the service. Government officials, including East Hampton Town Supervisor Peter Van Scoyoc, also attended the service. At the rear of the church’s sanctuary stood an American flag that had flown atop the U.S. Capitol on the day of the crash. The House of Representatives presented it in honor of the Krupinskis and Maerov, according to the service program. The Krupinskis and their grandson were active in politics, supporting both local and national candidates. Maerov had been studying government at Georgetown University in Washington. “Devout patriotism and exemplary citizenship were trademark characteristics of the Krupinskis and Willie,” the program said. Since the crash, many have talked openly about the couple’s kindness and generosity. In an interview Thursday, Father Ryan Creamer of the Most Holy Trinity Church of East Hampton described the Krupinskis as “quietly generous — both to the parish and the community.” “It’s a good, strong memory we have of each of them,” he said. Police deploy divers in small-plane search"We feel we possibly located wreckage on the sea floor," East Hampton Town Police Chief Michael Sarlo said. Police: Search for crashed plane continues off coastThe East Hampton police chief said two patrol boats were deployed to resume a search for two of the four people aboard a plane that crashed over the weekend in waters off Amagansett. Officials: Search suspended for 2 after plane crashRescue workers did not find the two people still missing from the crash of a twin-engine plane in the waters off Amagansett and suspended the search because of "deteriorating sea conditions," police said. Experts: Storms and small planes a dangerous mixThunderstorms are "one of the most serious if not the most serious weather hazard" for pilots, an aviation expert said.